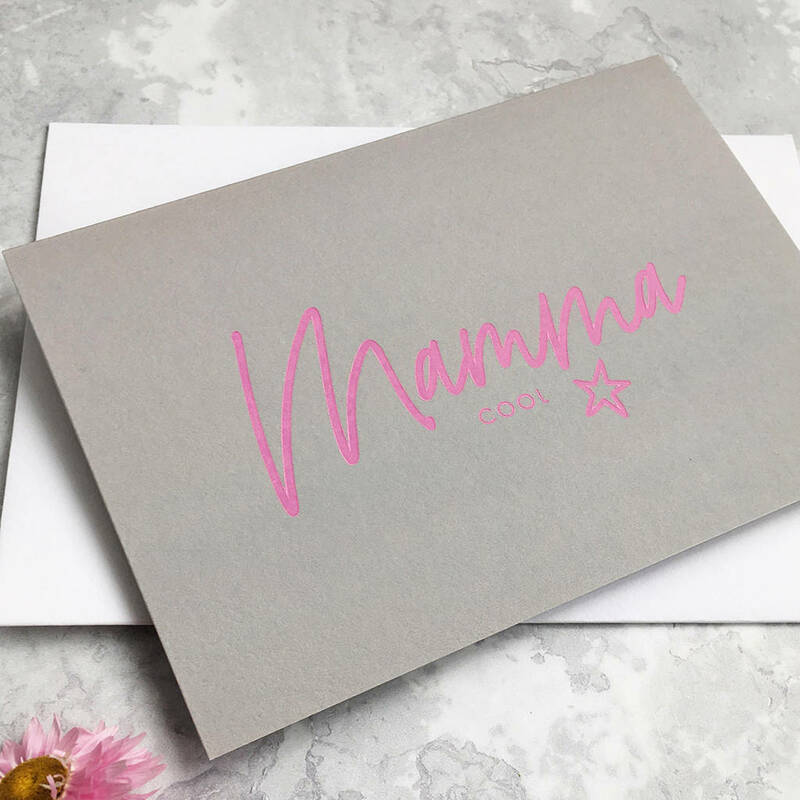 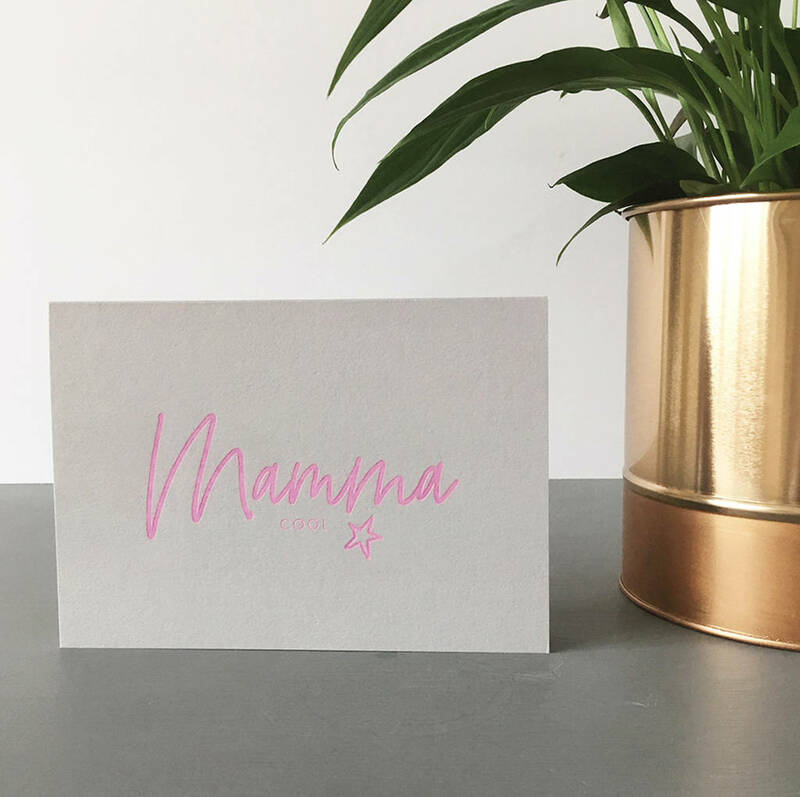 A unique luxury 'mama cool' card with a hand stamped hot foil design in matt pink. 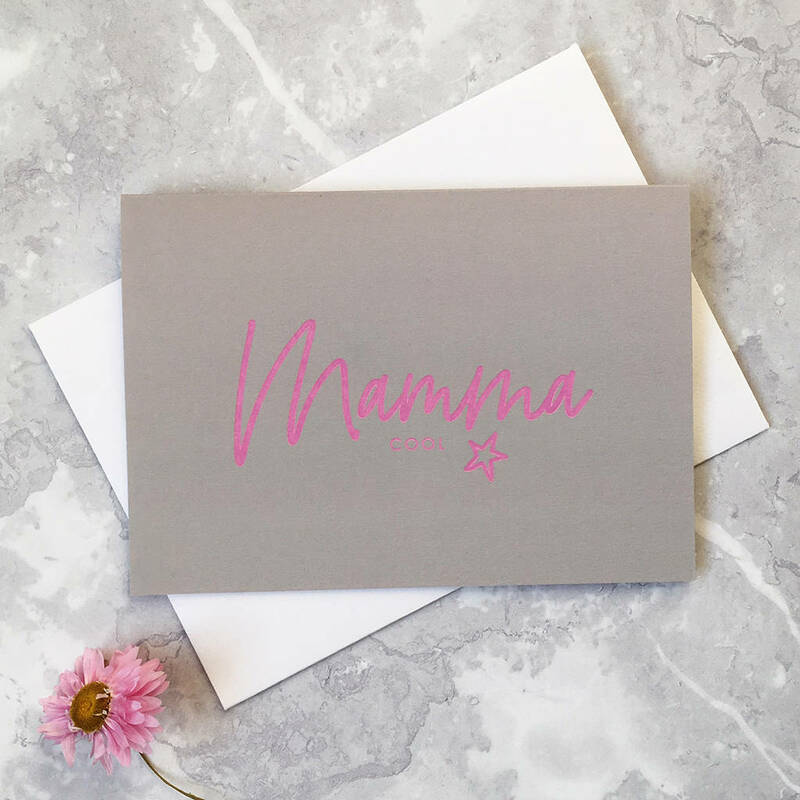 This card is perfect for Mothers day, for a new mum or just for that cool mama in your life! The design is hand stamped with matt pink foil by PaperGrace in our studio using hot foil printing techniques.